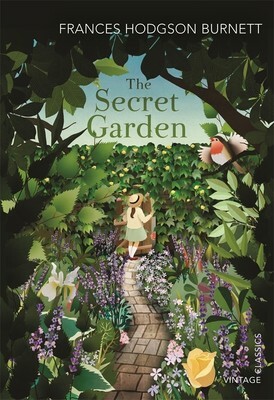 “The Secret Garden” is a friend’s favourite book. He cannot stop raving about it. He was after my life to read it at so many points in life and yet I just would not. Maybe I was not ready for it then. But when I was I picked it up and loved it. It was a part of the Novel Cure Reading Challenge. The book is featured under: To Cure Adoption and that is what the book is partly about, or I would say very superficially about. It is more about finding home and something magical in your heart, as cliché as it may sound. Mary Lennox’s family is dead. Her parents and most of her family died due to a cholera breakout. She is the only one surviving and found all by herself in a big huge house. She is lonely. She pretends to be brave and she is not at all courageous. She is only ten years old and never known what it is like to be loved and perhaps to love someone. Till she chances upon a garden – a locked, derelict garden, which comes to become a place she loves and a garden which heals her and teaches her how to love and to be loved. I have not said much about the story because I would want readers to explore and find out the way I did. The writing is fantastic. It does not seem that it was written such a long time ago, and published in 1910. The themes are as relevant today. The angst of childhood and the need to find out more is omnipresent and exists in every child. To me, the book is one of the best children’s classics I have read in a long time and will most certainly reread it. This entry was posted in Books, children's fiction, Classics, Literary Fiction, Review, The Novel Cure, The Novel Cure Reading Challenge, Vintage Books and tagged children's classics, Frances Hodgson Burnett, The Novel Cure, The Novel Cure Reading Challenge, the secret garden, to cure adoption on February 10, 2014 by thehungryreader. 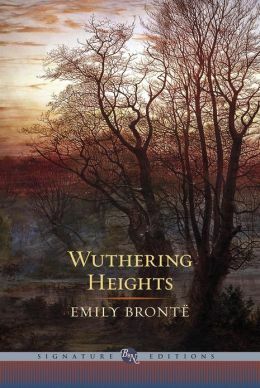 If there is one classic, which I go back to every year and continue to do so, without as much batting an eye-lid then that has to be, Wuthering Heights by Emily Bronte. For some it is Pride and Prejudice. For others it could be anything by Mark Twain. For me, it is just this sole book written by Emily Bronte, who according to me was also the most interesting amongst the three. I never need a reason to read this one, however this time; I also read it for The Novel Cure Reading Challenge. While it is a story of passion and love, it is also a story of class, of families, of how one cannot resist and yet must one do what society dictates. At the core however, it is a love story like none other. The story is dark. It is not pretty. It is not meant to be. It was considered vulgar and preposterous when it was first published. Emily went to her grave thinking she was a failure. The book was reprinted by Charlotte and now it is one of the most beloved classics of our times. Wuthering Heights is narrated by Nelly Dean. She has lived around for a long time. The story is told in extended flashback to a lodger or rather the tenant at Thrushcross Grange. Nelly narrates the story of Heathcliff and Catharine – of their obsession, their love and their madness. Of how they could not be together and yet would not give up each other for the world. I remember reading the novel for the first time when I was thirteen. I was depressed for a week. The empathy towards Heathcliff and the need to also beat him up was strong. The need to for once, allow Heathcliff and Catharine to be happy ever after was beyond anything else which I ever wanted and yet I knew this was not possible. The book evokes strange feelings in the reader and those feelings remain. It is more than just unrequited love. You know there is only one way in which this story will end and yet – you pray that things become alright and they do, in a different way of sorts. The core theme also, mostly forgotten is that Heathcliff is an outsider. He has been adopted by Mr. Earnshaw at the beginning of the novel, which Hindley, Catharine’s brother cannot stand. This is just the start of things to come though. At some point you feel Catharine also detests him and to some extent maybe that is true, but you know that love will prevail and she is merely trying to succumb, but you know she is stronger than that. Wuthering Heights will break your heart – even if you do not want it to, it will. There is no way out from that one. A read which you will never forget for years to come, that is for sure. This one as per the Novel Cure is to Cure Adoption. This entry was posted in Books, Classics, Review, The Novel Cure, The Novel Cure Reading Challenge and tagged Barnes and Noble Signature Classics, Catharine, Charlotte Bronte, emily bronte, heathcliff, The Novel Cure, The Novel Cure Reading Challenge, wuthering heights on January 7, 2014 by thehungryreader.